Wawa has a super deal for Philadelphia Eagles fans as they prepare for the Big Game on Sunday. The company is offering free coffee of any size TODAY, Sunday, February 4, up until kickoff time at 6:30 p.m. at each of Wawa's locations across Pennsylvania, New Jersey, Delaware, Maryland and Virginia. "At Wawa, we've always had a special connection to the Philadelphia culture and its sports teams, and we get just as excited as our customers do when one of them is playing for a chance to win a championship. So, in honor of this year's football team and to toast this championship game, we are thrilled to offer free any size coffee until kickoff to customers across the Mid-Atlantic," Chris Gheysens, Wawa President and CEO, said in a statement. "We talk about having Goose Pride here at Wawa, but this week, we'll be cheering for a different bird on Sunday and hope they bring our city a long-awaited championship! So, no matter how you spend your day preparing for the Big Game, be sure to stop by and grab a cup of coffee on us!" 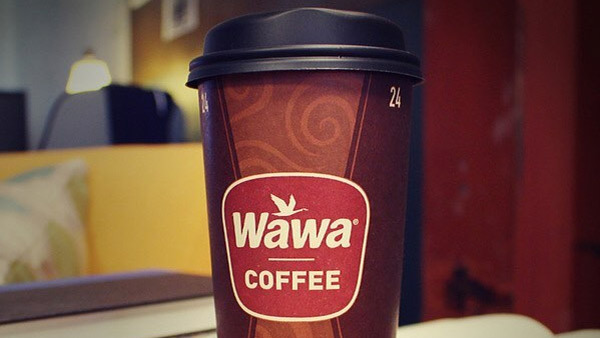 Since the year 2000, Wawa has served more than 1 billion cups of coffee. Wawa is also offering their Classic Hoagie for $4.99 until Sunday. Additionally, Wawa's hoagie wraps have been turned a special shade of green and sport the phrase "Fly Eagles Fly!"